I will be the first to admit that this clock is ugly. The only thing that saves this clock is the well executed LED display. 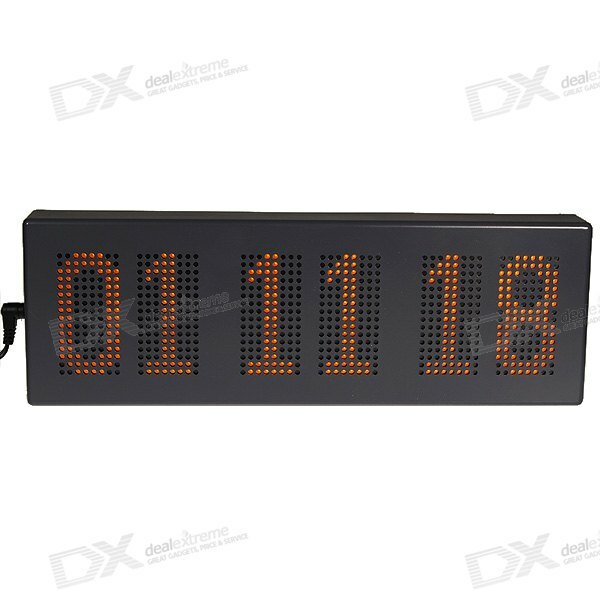 It is unclear between the photos on DealExtreme.com whether this clock is orange or red, but I have seen videos and photos of both. One word of caution: This clock does not run on 110v. This poses two distinct problems. 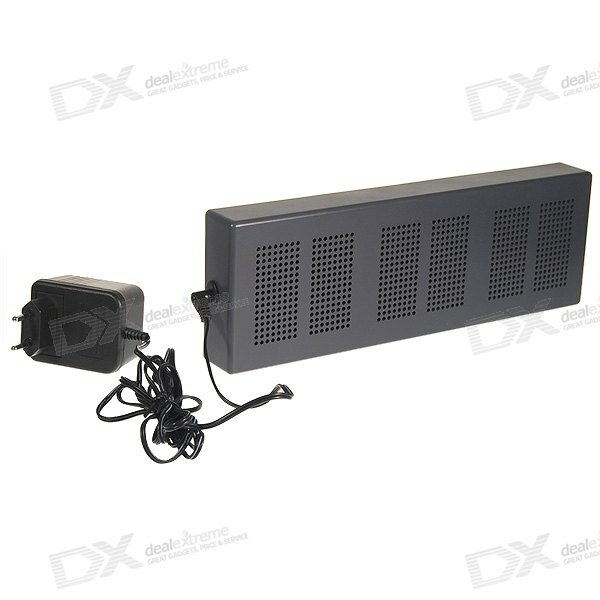 The first one is that you will need to find a power converter for it. Not a big deal but it is a pain. Second, if it derives its clock from the mains line, it will be expecting a 50Hz reference and in the US, it will be getting a 60Hz reference instead. I don't know if it uses the mains line for reference or has its own internal oscillator.